Yesterday was a high octane day! 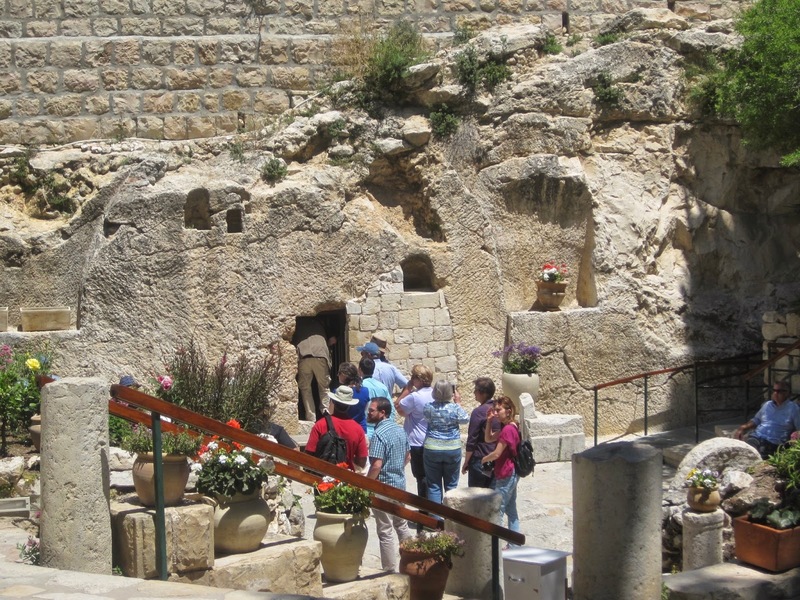 We started with an early departure from our hotel on the West Bank and headed for the Mount of Olives. 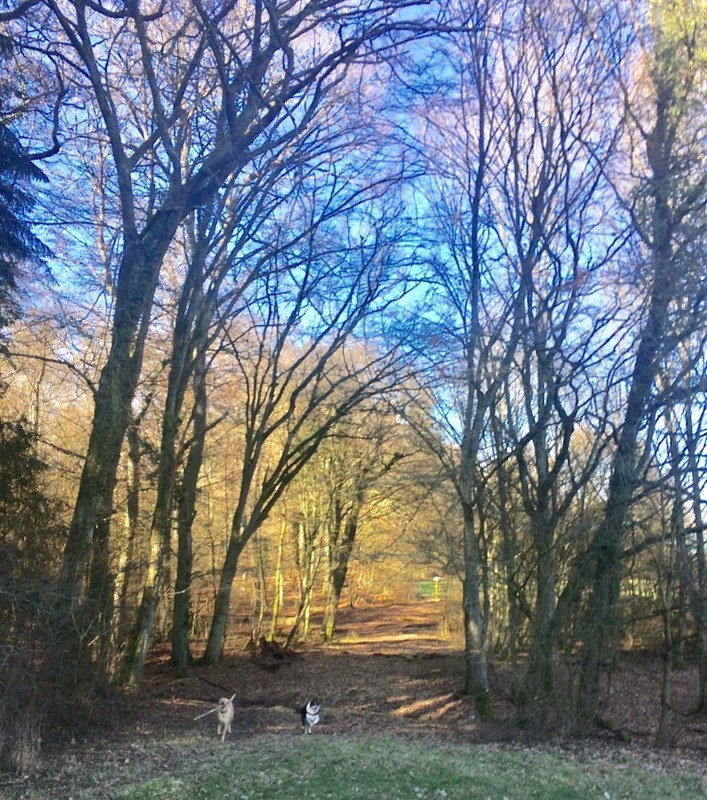 It was a gorgeous morning and the day ahead was filled with anticipation. 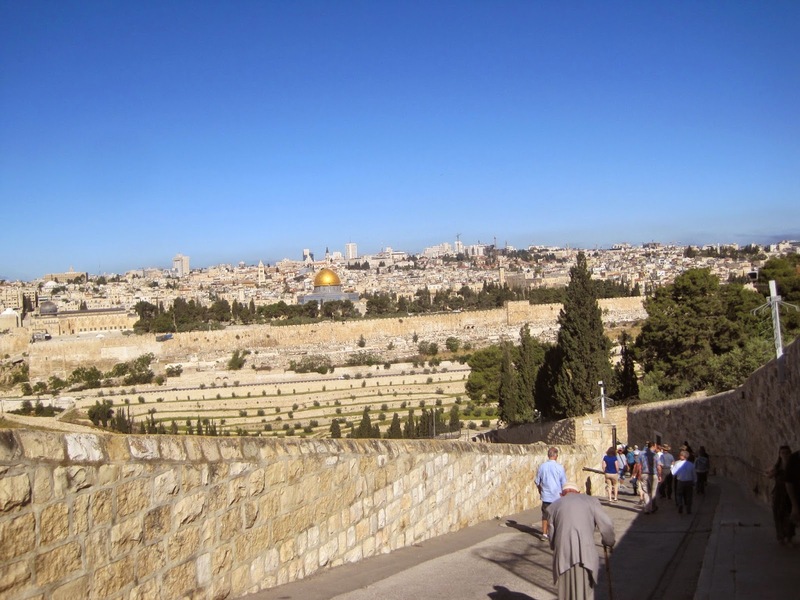 The Mount of Olives is a beautiful place not only for the garden atmosphere but also for the spectacular views it gives of Jerusalem. It was great to get a sense of the topography and helped to envision the final week of Christ's life in a real way. 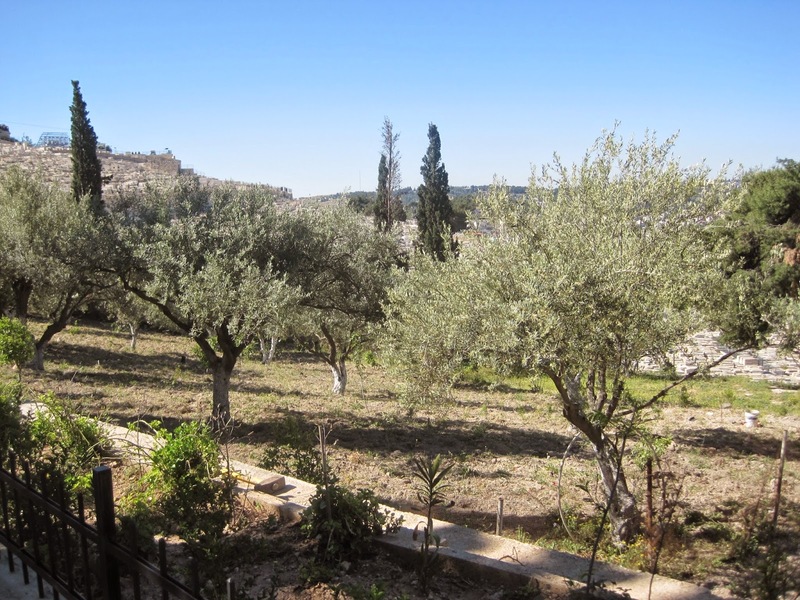 From the Mount of Olives, we walked the Palm Sunday road down to the Garden of Gethsemane. 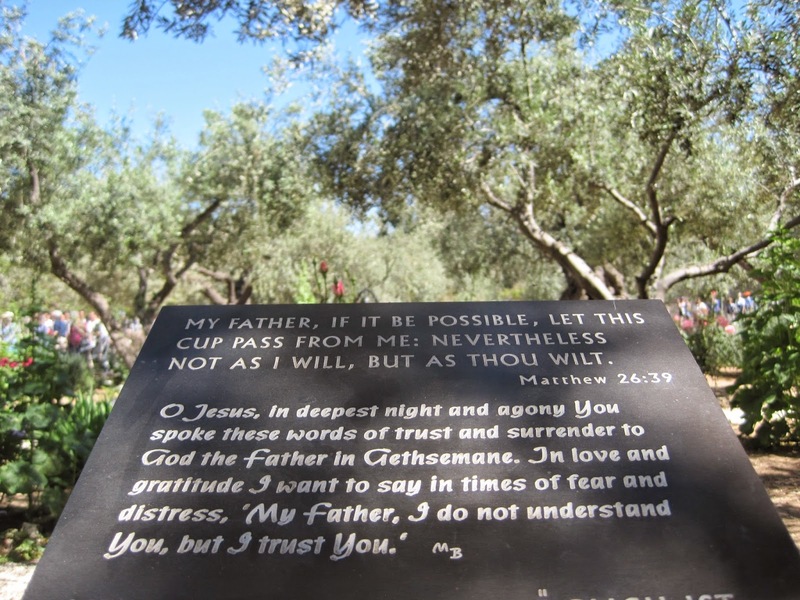 Gethsemane today is a very beautiful place, a true garden. I was glad for this. Of course, there is a church built on the sight that commemorates the agony Christ felt on the night before his death. 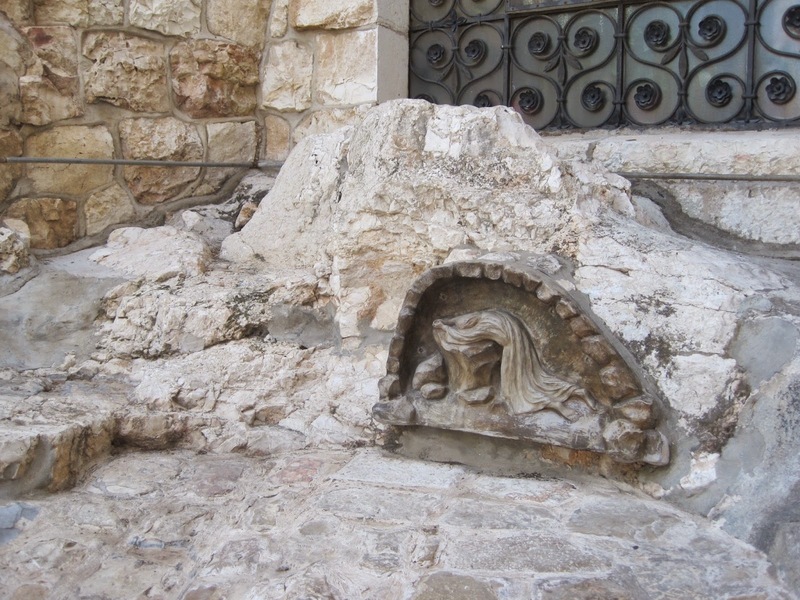 There is a rock encased in the church that is supposedly the rock that Jesus prayed upon while asking God to remove the cup of suffering from him. This piece of art was more moving to me. 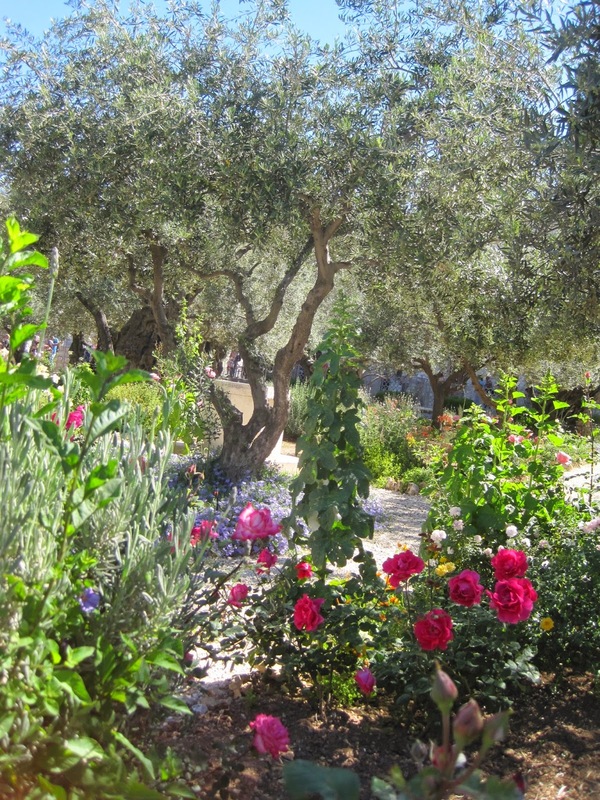 I did enjoy being near the garden of Gethsemane even though little about it seemed to resemble what it would've looked like in Jesus' day. 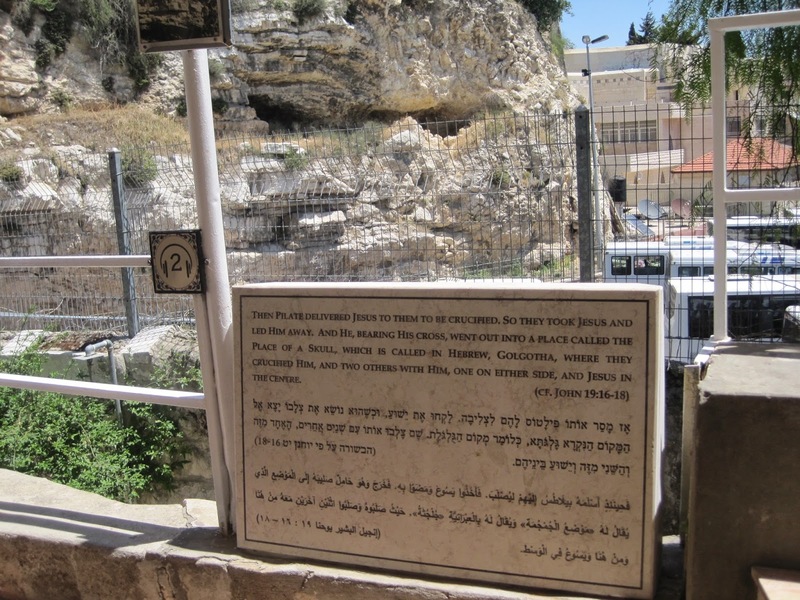 From there we headed to the Garden Tomb, one of the places where some think Christ was crucified, buried and resurrected. Some of the evidence for this spot include this skull-like rock near this place. 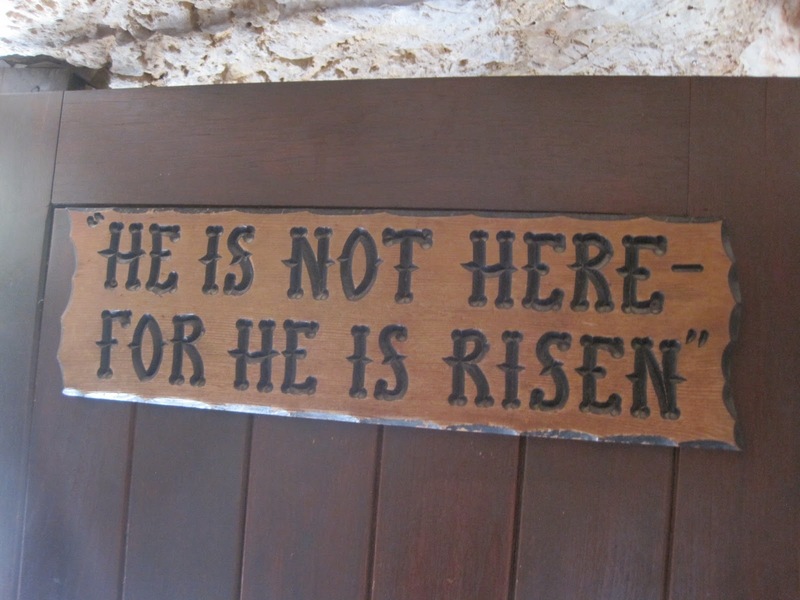 But the guide was quick to point out that while there is no way to prove that the spot of the garden tomb is historically accurate, he was also quick to point out that the exact position of Christ's death and resurrection is secondary to the reality that it did indeed take place in this region and changed the course of human history forever. 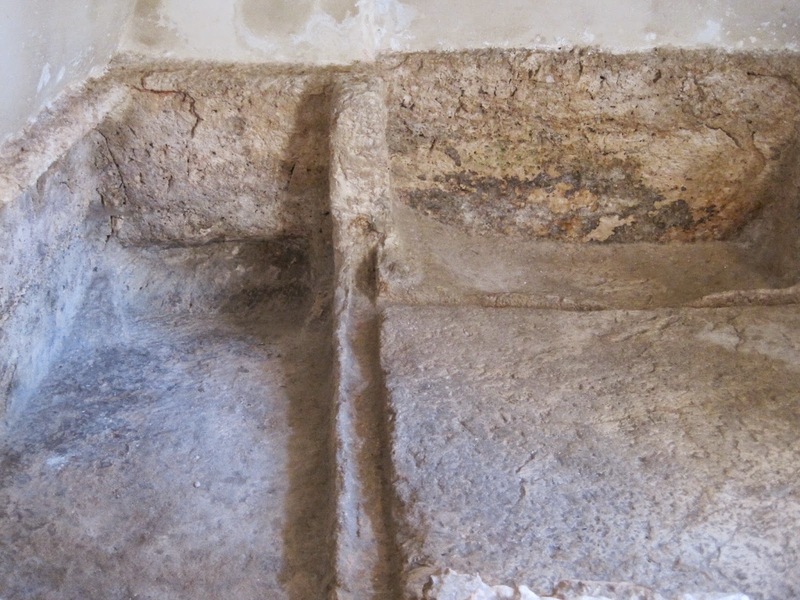 We enjoyed taking a look at the grave and again, matching some visual images with the biblical narrative. We finished the day with a walk through the old city. The marketplace is a warren of vendors with twists and turns for miles around. I look forward to having more time to explore this area. We are now nestled into our hotel just outside of the old city. My fitbit tells me that I walked over 6 miles today so it's no wonder that we are very tired. 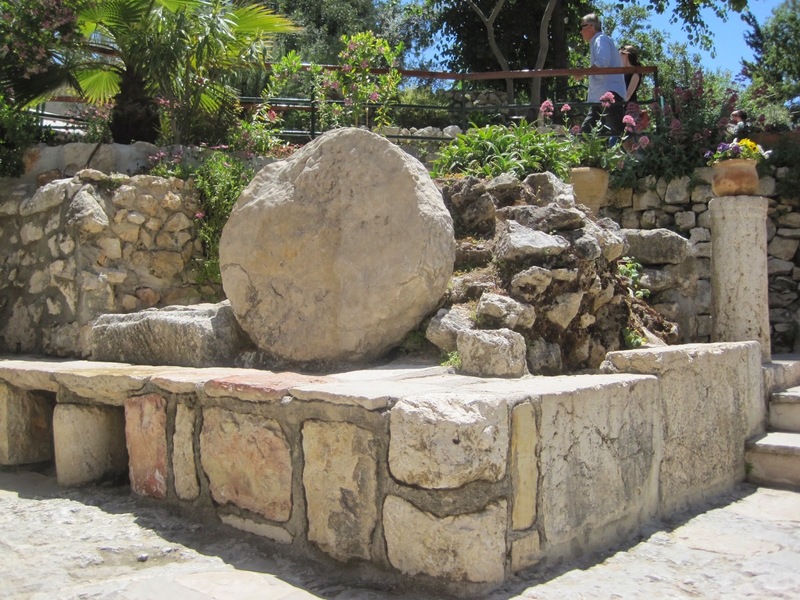 But I will always remember the steps that I took as I followed some of Christ's journey to the cross.